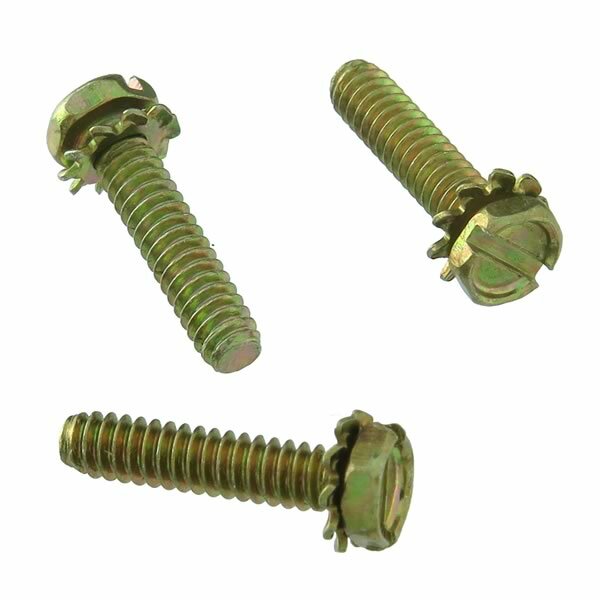 Zinc plated steel 4-40 x 1/2" (0.50") indented hex machine screw with lock washer. Features slotted and 3/16" Hex drive (0.1875" across the flats). Sold in a package of 100.